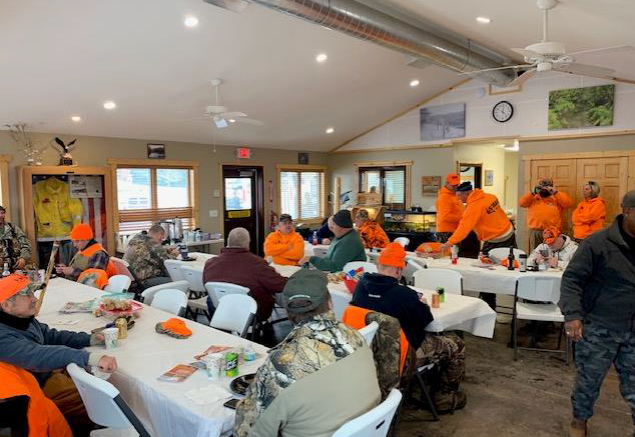 Olmsted County Parks hosted disabled Vietnam and beyond veterans for a deer hunt at Chesterwoods. Park staff and volunteers assist the vets to hunting stands placed throughout the park. Some veterans used the park’s track chair. This year Purple Heart recipients and vets with 100% disability were among the hunters. The Park staff coordinated the hunt with Olmsted County Veterans Services as well as with other sponsors of the hunt. Forty-two veterans and dependents participated in the hunt. This event is to honor our veterans and is part of the park wild life management. Oxbow also had a bow hunting event for our Veterans. Be the first to comment on "Disabled Veteran’s Deer Hunt"